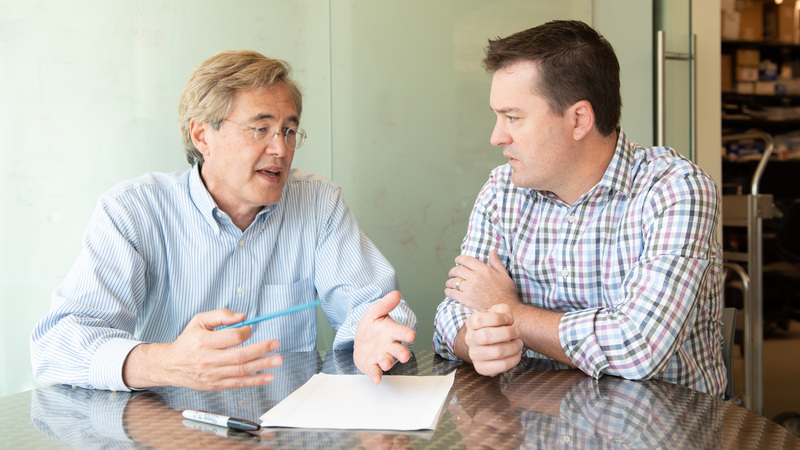 Gladstone investigators Bruce Conklin (left) and Todd McDevitt (right) are launching a project to assess the safety of genome editing in human cells and tissues. To tackle these challenges and fuel efforts across the country, the National Institutes of Health (NIH) launched the Somatic Cell Genome Editing program. Among the program’s first grant recipients is a group led by Todd McDevitt, PhD, senior investigator at the Gladstone Institutes. The team was awarded more than $3.6 million over the next 5 years to assess the safety of genome editing in human cells and tissues.